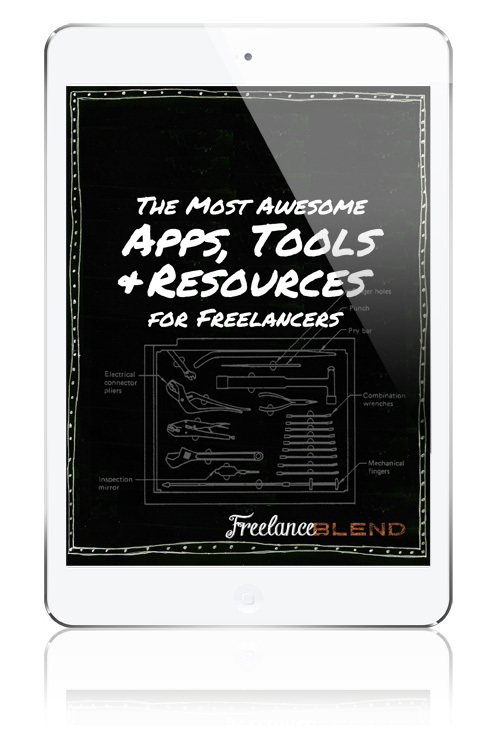 Get our Free Ebook: The Most Awesome Apps, Tools and Resources for Freelancers (Hint: Most of them are free)! There are literally thousands of apps to choose from in the Apple and Google App stores and finding those hidden gems will, unfortunately, take some precious hours from your day. By simply downloading this free ebook, I will make your life easier by handing you more than 30 of the latest and greatest applications, software and websites that I myself use on a day-to-day basis to keep myself sane and become a more productive solopreneur. In fact, most of the resources in this ebook were also recommended by some of the most successful freelancers and bloggers that I interviewed for the Freelance Blend Podcast. As a bonus, I also included 5 of the most awesome books that you should read today which should provide you with the motivation and the inspiration to become a thriving freedom entrepreneur. I hope these books will change your life as it did mine. Just enter your Name and Email Address below to get immediate access to “The Most Awesome Apps, Tools & Resources for Freelancers” ebook. By downloading this free ebook, you are also signing up for our free newsletter, where you will get latest happenings in the Freelance Blend community, blog, workshop and podcast as well as receive more useful tips and resources that can help you in your freedom business. We hate spam as much as you do so we definitely won’t be sending any of those your way.